Love token bracelet photographs are one of the harder items to find. Many old photos are of either portraits or groups of people. 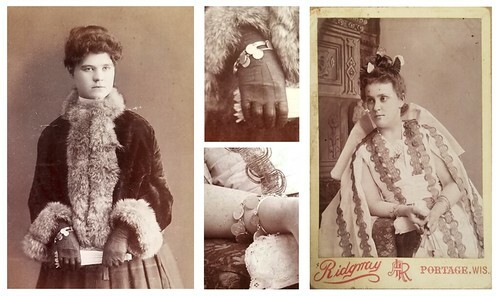 With portraits it is rare to have a hand shown near the face unless perhaps it is holding a fan... With hands often being obscured in poses, issues in lighting or focus, sometimes clothing covering the wrists, and the jewelry being so small in these head to toe photos, it makes it very difficult to find love token bracelet period photographs. The following photos represent about twenty years of searching for these elusive images. The first image is of a young child wearing a matching pair of buckle style band bracelets made from a thin sheet metal, composition unknown. The bracelets appear to be the same type that is used with the band/buckle style love token bracelets but no coins are visible. There was a period of time when matching bangles or bands were the fashion and they lacked love tokens. Other love token photos will support that it was popular to wear these love token bracelets with gloves. Additional research should be done on gloves in Victorian fashion with the heights of popularity, if they were worn regularly both inside and outside of the home, and if weather/climate influenced the fashion. The other item of interest is that one woman is wearing a Kimono. There was a period when all things Japanese greatly influenced design in the Victorian period, but that is a whole other topic worthy of a separate article. 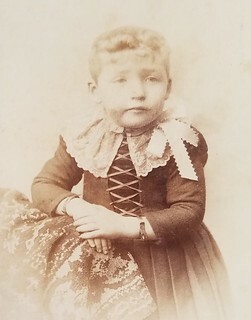 The previous photos are all what are called “cabinet cards” or “cabinet photos”. 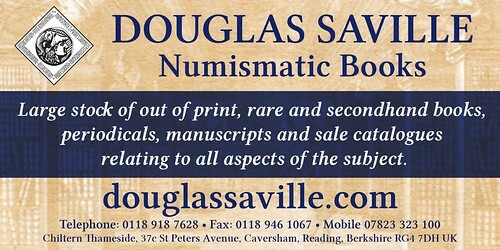 They measure roughly 4.25” x 6.5” with thin photographic paper mounted on rigid cardboard. The name and location of the photographic studio is generally printed on the obverse of the cards and occasionally there is additional information of the studio on the reverse and is sometimes accompanied with graphics. None of these cards have printed reverses but one has a name and date handwritten on the reverse which dates it to 1892. There was a large surge of love tokens made this year which coincides with the anniversary of Columbus discovering the new world and also the release of the new “Barber” design coinage. These events may have triggered more interest in having love tokens made.